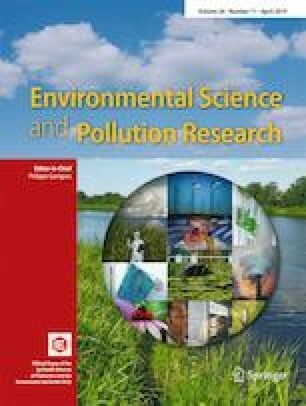 In this paper, the application of ultrafiltration (UF) technology to treat cadmium (Cd) pollution in surface waters is investigated. The effect of the UF membrane molecular weight cut-off (MWCO), Cd ion (Cd2+) concentration, solution pH and ionic strength on the removal, and mass balance of Cd were explored. In addition, the effect of the solution pH on UF membrane fouling was analyzed. The results indicated that UF membranes with a low MWCO resulted in an improved Cd removal rate. In addition, as the Cd2+ concentration in feedwater increased, the Cd removal rate decreased, while the Cd concentration in the permeate increased. Since the solution pH and ionic strength had a notable impact on the Cd removal rate, a high pH value and low ionic strength led to a higher removal rate of Cd. Under optimal Cd removal conditions, UF reduced the influent Cd concentration from 1.0 to 0.019 mg/L. For membrane fouling, increasing the solution pH led to more serious membrane fouling. This phenomenon was the result of Cd2+ reacting with OH− and forming a Cd (OH)2 precipitate. The precipitate and humic acid formed compact cakes on the membrane surface and blocked membrane pores. These results provided adequate evidence for the higher removal of Cd with increasing solution pH. In addition, SEM images under different pH conditions were in agreement with the conclusion mentioned above, which provided further support for the effect of the solution pH on Cd removal and membrane fouling. The study was supported by the Nanqi Ren Studio, Academy of Environment & Ecology, Harbin Institute of Technology (grant no. HSCJ201702) and the National Science and Technology Major Project of Twelfth Five-Year Period (grant no. 2014ZX07201-012-2).